We held our first official Teacher’s Conference in the Summer of 2016. We were excited to have the School Superintendent in attendance at this conference (he helped us set it up!) and he’s been at every conference since! In October, with zero advertising on our part, we will facilitate a teachers conference for over 200 teachers in El Salvador! The numbers have grown, organically, since our initial effort in 2011 when team members and I assisted teachers at the local school nearest our property. I taught beginner's guitar and English, which allowed me to learn first hand about their education, its systems, and the various needs the school experiences day to day: lack of books, school supplies, sufficient amount of trained teachers, classrooms, chairs, proper facilities, musical instruments, safe playground, and the list could go on. This was an eye opening experience, and it propelled our team to pray about how we could help with such an expansive issue. Amidst the overwhelming needs, I met several teachers who took their role seriously and invested into their students daily despite their challenges. For the next two years I, along with other members of the Latin America team, worked with the same school, teaching various subject matters due to their continuous lack of teachers. During that time, teachers would approach us with dreams about how we could one day collaborate with them by providing something more than just a time volunteering at the school. We love these teachers. We know them by name and have built relationships with them. Having their trust is paramount to continuing onward, together, as we work to improve education in El Salvador. 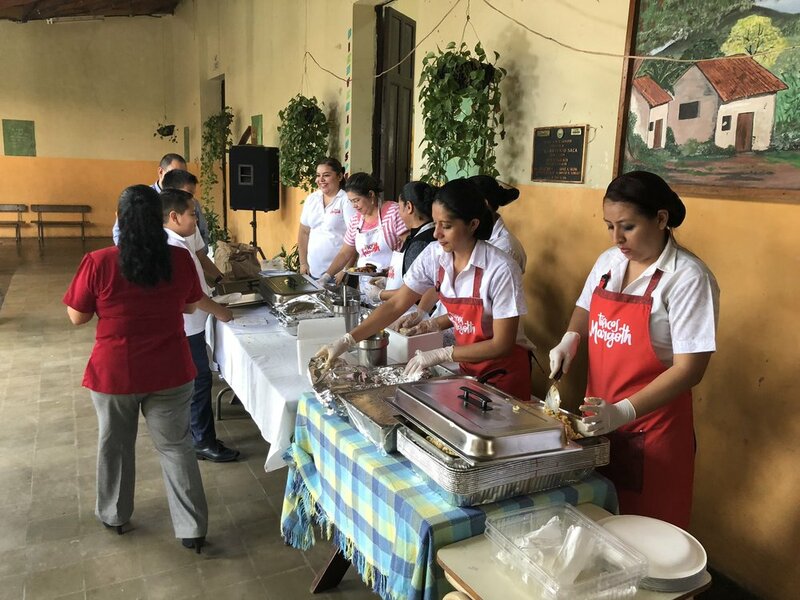 In 2015, Gregg Garner, CEO of Global Outreach Developments International, along with members of the Latin America team, had a meeting with a select group of teachers from the area of Suchitoto Cuscatlán, El Salvador. During the meeting, the teachers vulnerably shared their challenges and stories. We listened and validated their experiences, but we did not stop there - we were compelled to do more. We continued to follow up with them, facilitated conferences, and the number of teachers grew by word of mouth. In addition to the conferences, our team published a magazine for them, our friends and fellow teachers. 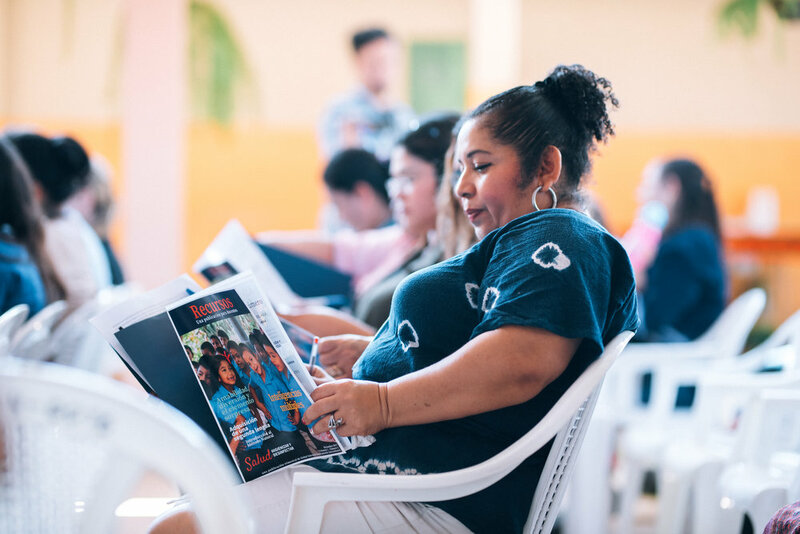 The magazine, “Recursos” [Resources], is written completely in Spanish and contains articles that target some of the specific concerns expressed in the meetings we had with them. The magazine is an incredible tool for empowerment, but the moments of face-to-face, real-time dialogue is invaluable. Gregg Garner and a couple of teachers from the Academy for G.O.D. visit the teachers regularly to offer workshops for teachers with relevant material that does not just ignite their imagination with new and fresh ideas in the realm of education, but, again, is tailored to meet their specific needs. In a society where teachers are direly underappreciated, we are intentional to treat them well. We provide a catered meal at each conference for the attendees. Sitting around the tables afterwards while continuing in candid conversation about education is always a highlight. Teachers leave the conferences encouraged. All of the 120 teachers that attended our most recent conference in June expressed thankfulness and excitement. Some of the teachers commented on the quality of the conference saying: “I have never been to a conference like this, and I have been a teacher for more than 15 years!” and “You show us that we are not forgotten.” They were impacted! The first conference had about 20 teachers in attendance, and that number has grown each year. There were 120 at the conference this past June, and we’re expecting over 200 at the next conference! The teachers that we have met are in great need. When Jesus saw the crowds and their needs, he had great compassion on them (Matt 9:36, 14:14). All these years, we have seen the needs of these teachers we serve and we have responded in faith to practically meet them. Please be in prayer for our upcoming conference this October, and check out our cause page to do your part in helping a teacher attend!